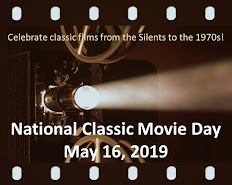 This post of part of the Cafe's Movie of the Week Blogathon. Please check out the other awesome reviews by visiting the blogathon schedule. The hotel at the Portals of Eden. Haunts of the Very Rich (1972). The opening scene introduces seven people who are en route to a paradise resort known as the Portals of Eden. 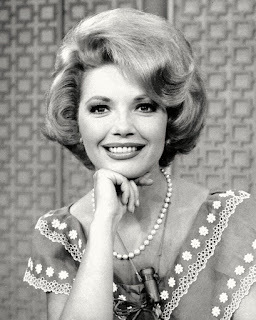 The guests consists of: a bitter businessman (Ed Asner); a philanderer (Lloyd Bridges); a timid woman (Cloris Leachman); newlyweds (Donna Mills and Tony Bill); a priest who has lost his faith (Robert Reed); and a housewife recovering from a nervous breakdown (Anne Francis). When these seven people reach their destination, they are greeted by their host Mr. Seacrist (dressed in a white suit like Mr. Roarke). For a moment, I wondered if I was watching an early pilot of Fantasy Island. Moses Gunn as the mysterious host. However, things turn peculiar when the guests learn that there are no other vacationers and the staff understands but doesn't speak English. Mr. Seacrist (Moses Gunn) explains away these oddities--they are the first guests of a new season and a non-English speaking staff "works better that way." Still, when a tropical storm cuts off all communication with civilization, the Portals of Eden becomes downright ominous. If you're familiar with Leslie Howard and John Garfield movies, then you've probably recognized this plot by now. Still, Haunts of the Very Rich keeps its big revelation in check for most of its 73-minute running time. It falters, though, near the end with a rambling speech by the otherwise fine Robert Reed and an esoteric jaunt through the woods by Bridges and Leachman. Cloris Leachman and Lloyd Bridges. As made-for-TV movies go, it's a strong cast with Bridges and Leachman the standouts as an unlikely duo who find love in the oddest of places. Leachman's character is the first to realize what has happened and the actress excels at slowly, hesitantly coming to grips with the reality of the situation. Haunts of the Very Rich doesn't rank in the upper echelon of the ABC Movies of the Week, but it's worthy of 73 minutes of your time and you can watch it for free on YouTube. Peter Graves as a former hunter. Scream of the Wolf (1974). It's never good to get out of your car on an isolated road on a foggy night, so it's no surprise when something brutally kills a Los Angeles businessman. The sheriff of a nearby seaside community enlists the aid of writer John Wetherby (Peter Graves), a former big game hunter. They find wolf-like tracks around the corpse, but here's what's weird: the tracks change from a four-legged to a two-legged creature and then disappear! When there's a second killing within a two-mile radius, John goes to see his old friend--and hunter extraordinaire--Byron Douglas (Clint Walker). Byron is an eccentric who specializes in making dramatic statements like: "Once an animal starts killing humans, it never stops" and "A good hunter is never sure of anything except that his prey will do the unexpected." Byron shows open disdain for John, whom he thinks has become weak ("You're only alive when you're in mortal danger"). Clint Walker arm wrestles Peter Graves. The film's highlight is when Byron agrees to help hunt the animal if John, who once lasted seven minutes in an arm wrestling contest, can last just one minute this time. Peter Graves and Clint Walker in an arm wrestling contest? It just doesn't get much better than that, people! Scream of the Wolf has an impressive pedigree with a script by Richard Matheson and Dan Curtis in the director's chair. The two were responsible for such enjoyable made-for-TV horror films such as The Night Strangler (1973) and the classic Trilogy of Terror (1975). Alas, Scream of the Wolf is not one of their better efforts. Yet, it does provide Clint Walker with one of his best roles. The success of his Cheyenne TV series typecast Walker as an understanding hero for most of his career (a notable exception was his convict in The Dirty Dozen). Scream of the Wolf provides him with a bizarre character and Walker has a grand time threatening wussies, spouting philosophy, and, of course, arm wrestling. Plus, Clint sports some of the coolest triangular sideburns this side of Pythagoras. You can check them out because Scream of the Wolf is also available on YouTube. Quite the double bill you laid our for us. I recall them both. Always had a thing for Garfield/Howard fantasies and for Clint Walker. The mind is spinning with all these telefilms. Great reviews both! HAUNTS OF THE VERY RICH has an irresistible cast. And as an MTM fan I'd enjoy seeing Lou Grant and Phyllis working together again and to see Mike Brady as a priest who lost his faith (predating Shatner's turn in that role in HORROR AT 37,000 FEET). And anything with Anne Francis is worth a look. I think Peter Graves and Clint Walker were each enjoying a banner year in 1974, even if SCREAM OF THE WOLF fell short. My first pick for this blogathon would have been the 1974 TV movie THE UNDERGROUND MAN with Graves as Lew Archer, but I couldn't find a copy of it and my memory was fuzzy after thirty or so years seeing on the late show. Graves was excellent, ably assisted by Jack Klugman. And of course Walker also starred in KILLDOZER in '74. Well, two more movies to add to my growing list of gotta see 'ems. Let me just add a thank you for organizing this blogathon. It's been a blast and an education. As for the Wolf movie, even though I have a super crush on Clint Walker (as Cheyenne, episodes of which I NEVER NEVER missed when I was an impressionable teen) I can't remember seeing this film at all though of course it too sounds familiar. Funny, because I also liked Peter Graves. Old lady memory fails me once again. Yes, the John Garfield movie is the definitive version of this story (which I think originated as a play...though it's not mentioned in the credits for HAUNTS). Good pairing of two watchable, if not stellar entries. "Haunts of the Very Rich" reminded me of "Fantasy Island" as well when the tourists arrive on a small plane and are greeted by the man dressed in white. As for "Scream of the Wolf" I always enjoy watching Peter Graves. An interesting note about the picture of Clint Walker - he reminded me of Captain Black from "Captain Scarlett"! Toto, I see the similarity with Captain Scarlett's nemesis! Interesting double bill! I am a fan of both, but prefer Haunts (even though Phil Carey is in Scream of the Wolf, and I adore him more than just about anything). I do have to say, I like Reed's monologue in Haunts. I always thought he was such an underrated actor, and I think this movie really lets him go dark... Not as dark as he did in Secret Night Caller, but it's a great little part for the actor. I always like Robert Reed, but gained new-found respect for him when I saw the first season of THE DEFENDERS on DVD. He was excellent alongside E.G. Marshall and you see him mature as an actor as the season progressed. He was warm and charming on BRADY BUNCH, but I think the part held him back as an actor. Thanks for the great coverage of these two films, Rick! I remember seeing both on their original broadcasts. Haunts of the Very Rich was an interesting spin on the "Outward Bound/Between Two Worlds" concept. You're spot on regarding Scream of the Wolf: considering it's from the Dan Curtis/Richard Matheson team, I expected a bit more; it does fall a bit short of some of the other "scary" TV films of the era. Still it's got a fun cast, also including Jo Ann Plug, who was in The Night Strangler! Clint Walker does indeed have impressive sideburns! I've always liked Clint Walker, sideburns or not, so I'll bookmark the video on YouTube.